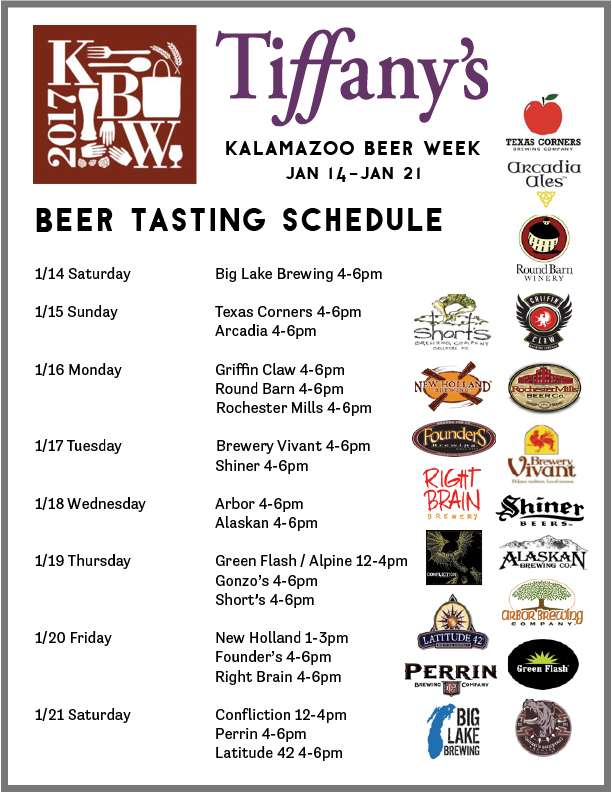 Tasting schedule for Kalamazoo Beer Week 2017 is available now. 19 breweries are participating with us this year for tasting. Check the schedule to find your favorite breweries and stop by during tasting hours to sample variety of craft beers. Event starts this Saturday, 1/14!